WHAT IS IT? Also known as the broad-nosed bamboo lemur or broad-nosed gentle lemur, the Greater Bamboo Lemur is found only in the giant bamboo forests of southeastern Madagascar. It’s fairly large for a lemur, with adults standing around 1.5 feet tall and typically weighing in at over five pounds, with grayish brown fur and distinguishing white ear tufts. They live in extremely social groups of up to 28, with the males being more dominant and individuals having a reputation for being quite gregarious. They currently rank near the top of the IUCN’s list of “The World’s Top 25 Most Endangered Primates,” with recent studies estimating a mere 60-150 total individuals left in the wild. WHY ARE THEY ENDANGERED? To put it simply, rampant deforestation, which is the result of illegal logging, mining, and the slash-and-burn approach to agriculture. The Greater Bamboo Lemur primarily feeds on Cathariostachys madagascariensis (a.k.a. giant bamboo), including the shoots, pith and leaves. But their range in Madagascar has been drastically reduced to less than 4% of its historic distribution, leaving them spread out in disparate areas with very low population numbers. 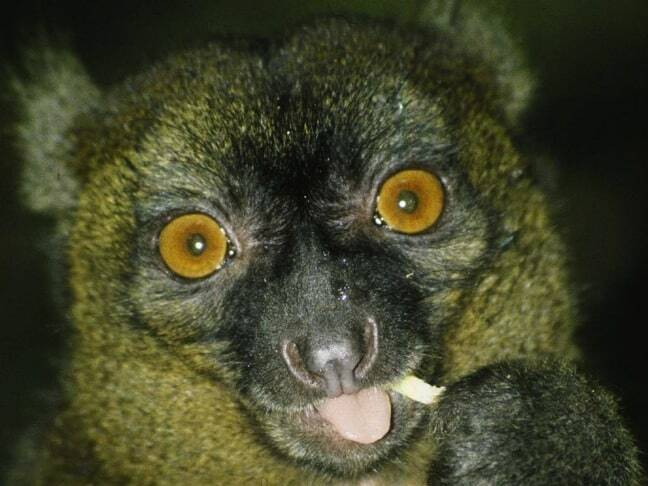 Scientists actually thought the Greater Bamboo Lemur was extinct for many years, but one remaining population was discovered in 1986 and another was located in 2007. 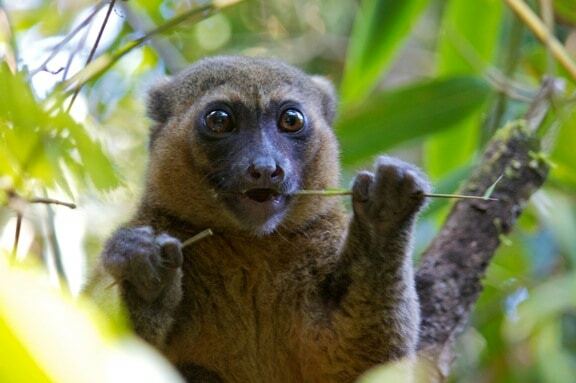 Still, with few of these lemurs living in officially protected areas and hunting of lemurs for food running rampant, the species’ outlook (and that of several other Madagascar lemurs) is dire.